Tired of experiencing a slowdown in performance of the phone? This is something that is quite frustrating especially in the case where one might be trying to download some content or browse something. What could be the problem? Apparently, this case happens when the phone is completely exhausted especially due to insufficient free storage space thus making the CPU to warm pretty fast. In some cases, the problem could be emanating from the existence of unwanted apps which might be occupying storage space without performing any task. Fortunately, there are a number of apps on Google Play that can help you return your Android device to its original performance. One such app is Cleaner created by IvyMobile team. 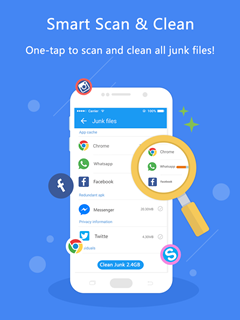 It describes itself as a “total Android phone optimization solution” and comprises of tools to boost the performance of your apps and games, clean up unnecessary junk files, take care of the storage and RAM and let you manage installed applications like never before. 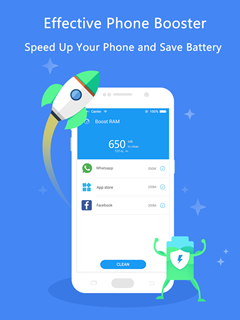 With a top rating of 4.5 star-rating, the app has received positive reviews with most honest reviewers applauding its high optimizing power that facilitate quick and efficient clean up of the phone. Let’s take a look at what the Cleaner is…………. Clearly, the overall task that is performed by this great clean-up tool is overwhelmingly demanding thus a good device that can work best for it. For now, it is compatible with Android device with 4.1 or any latest version available. It is critical to check on the operating system to ensure that it functions efficiently. Ivy Cleaner completely gets rid of the entire wanted files that tend to fill up the storage space for the phone. Once cleared, the phone is freed and performance improved. The performance of battery is highly improved since it is freed from cleaning up excessive energy. Thus in turn it tends to perform much better and for a quite long time. Actually, one will notice that once the space has been freed up, this makes it easy to launch a particular game and play with absolute ease. The entire performance is highly improved. 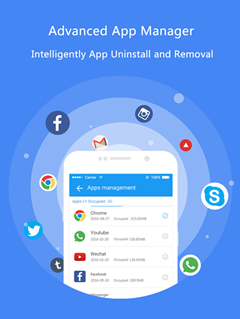 This is a crucial feature where this powerful phone optimizer and clean app plays an important role in getting rid of any unwanted apps and boosting the level of back up. Since the CPU plays central role in the operation of the phone, when it is cooled down the performance of the phone improves greatly. Once the free up memory has been created, this implies that more storage space will be availed thus making it quite efficient for boosting the overall performance of the phone. 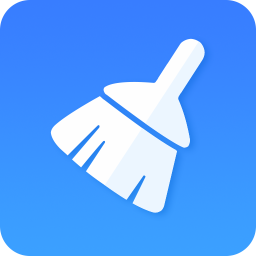 If you are after a comprehensive and powerful way to clean and speed up your Android phone, quickly close your background tasks, optimize games, manage your apps and more, Ivy Cleaner is worth checking out. It is ready for download for free at Google Play. Don’t miss it to get it today.